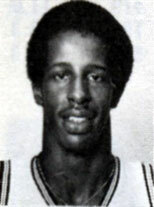 Drafted: Selected by the Boston Celtics in the second round (46th pick overall) of 1980 NBA Draft. As a small child growing up in Lafayette,IN you were a hero of mine.You once took the time to sign a autograph for me when you were at a restaurant.Thank you! Good to hear you are doing well, professionally and with a nice family. It's been a very long time Am still in NY with hubby and one daughter, come to the Heimatland 3 times a year. a crazed monster, as I m only 5 10, played for Ill Valley Com College, the shot went it, but you guys beat us and you played great, back in 1977 I think. I still remember the long turn around jumper you made to upset # 1 MSU (Magic's team). My freshman year at PU most memorable moment! [quote name="cherie hallman"]nice to hear you are alive love you. [/quote Hey sister contact me again please lost my phone book with all numbers.